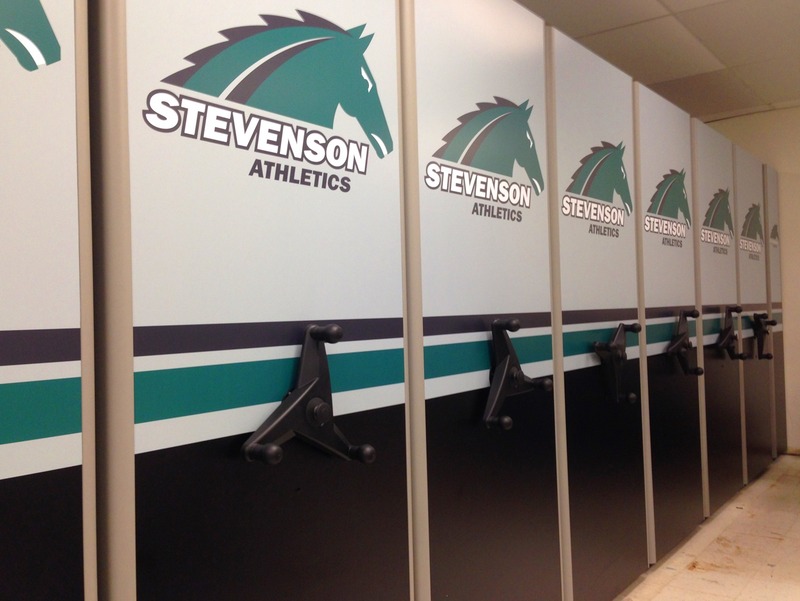 Sports & Athletics Storage - Storage Concepts, Inc. 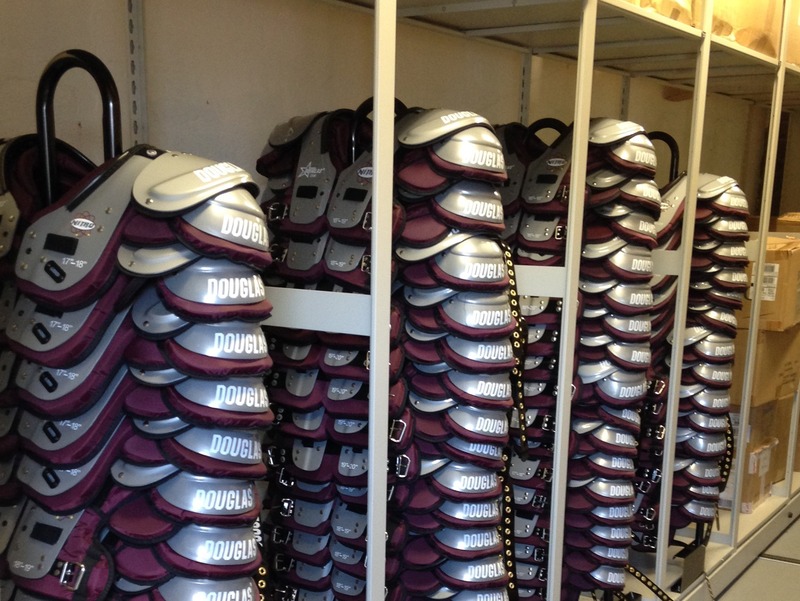 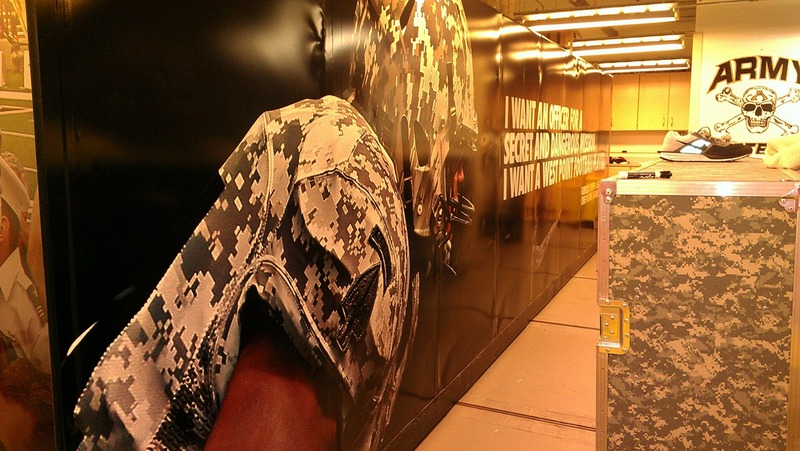 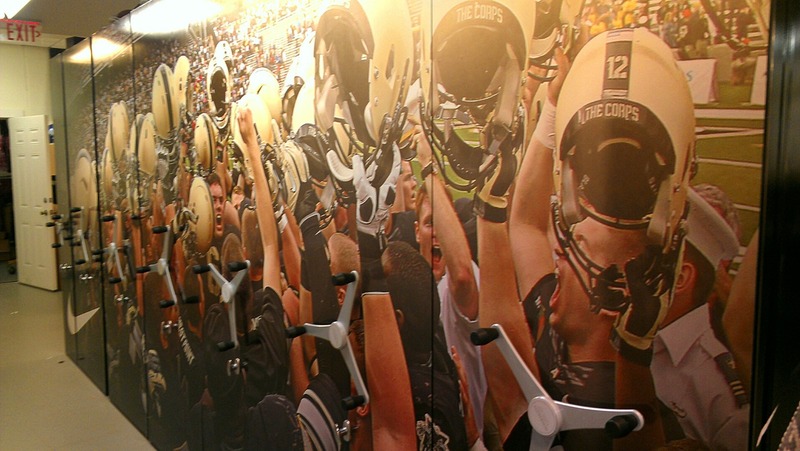 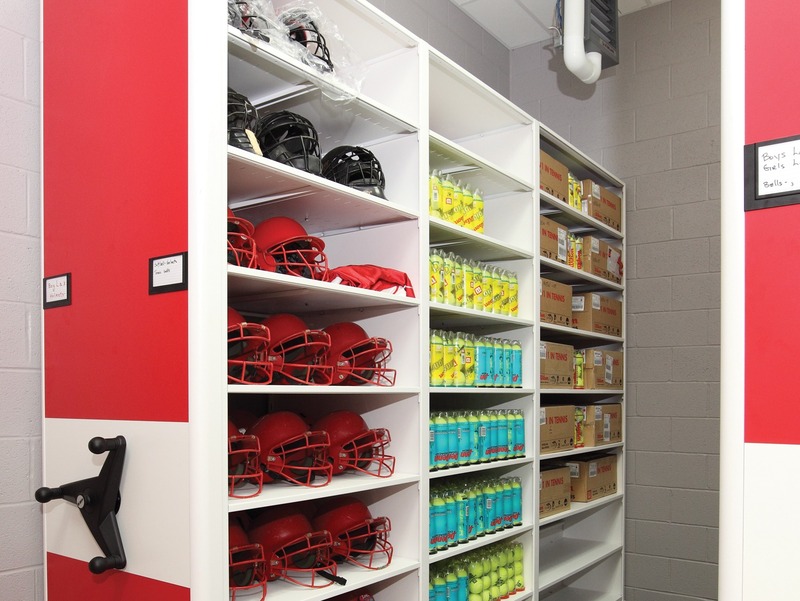 Storage Concepts, Inc. has worked with various athletic teams at many different levels to design and implement specific space-saving athletic equipment storage solutions. 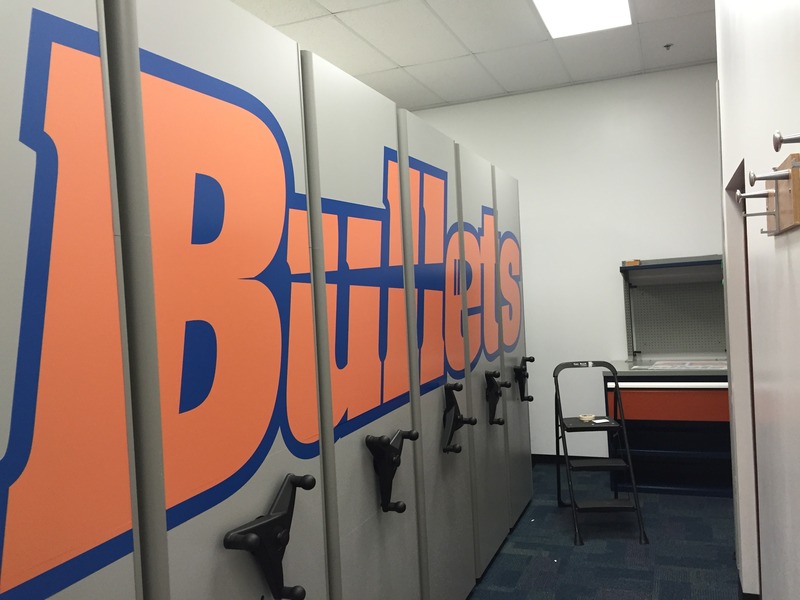 After evaluating the team’s current storage system and discussing needs with players, coaches, and directors, a new and improved system is installed. 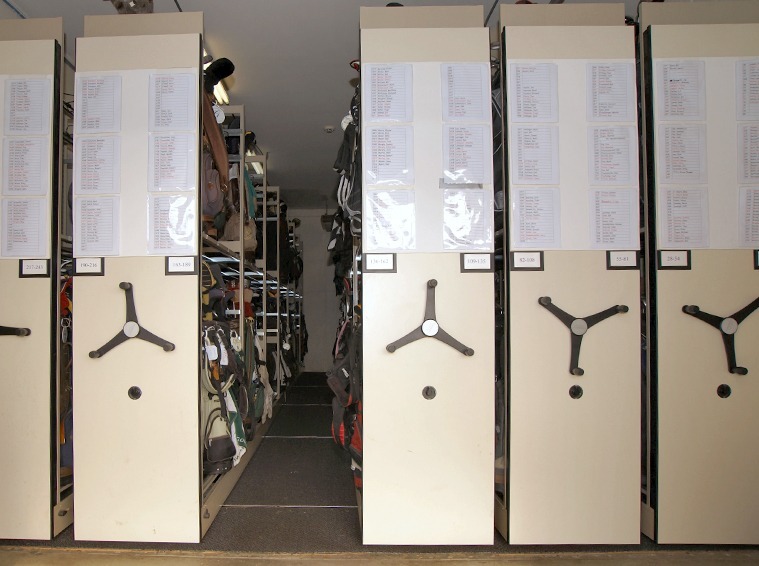 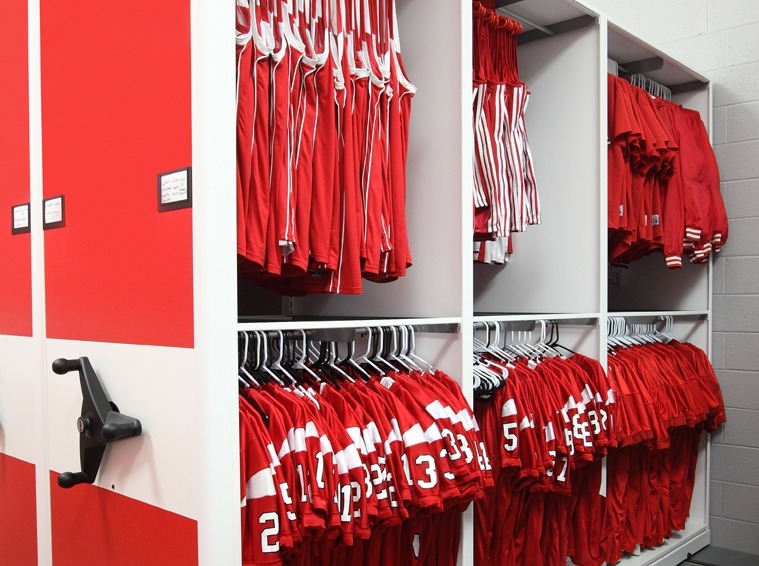 Whether requiring storage for one specific sport or for a broad athletic program, Storage Concepts can increase your space as well as your capacity for storing whatever equipment, uniforms, accessories and files you need. 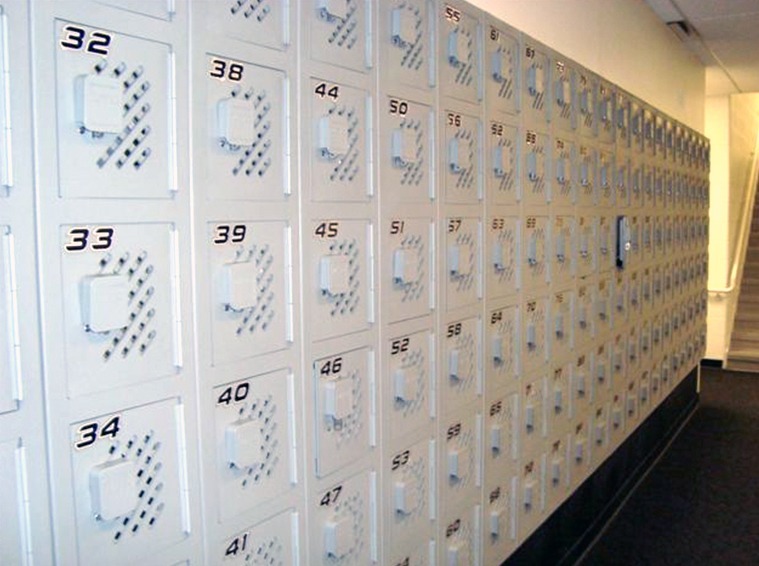 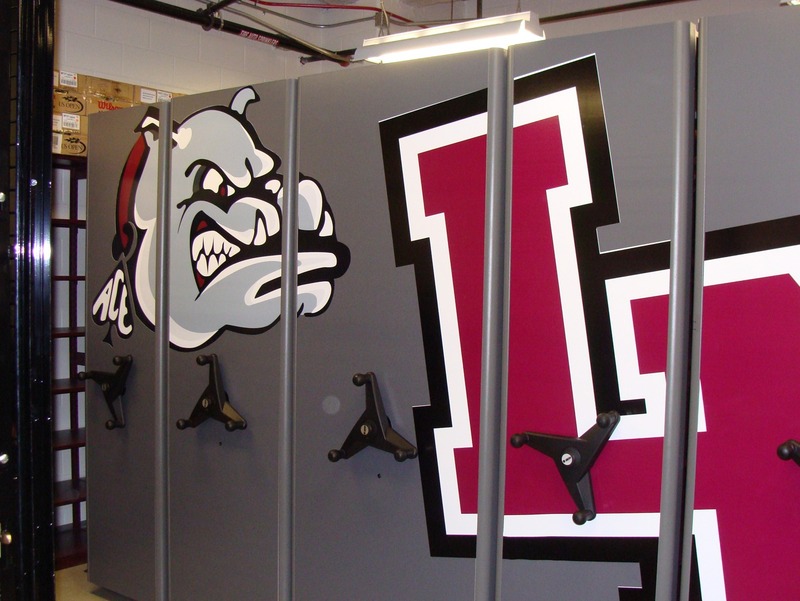 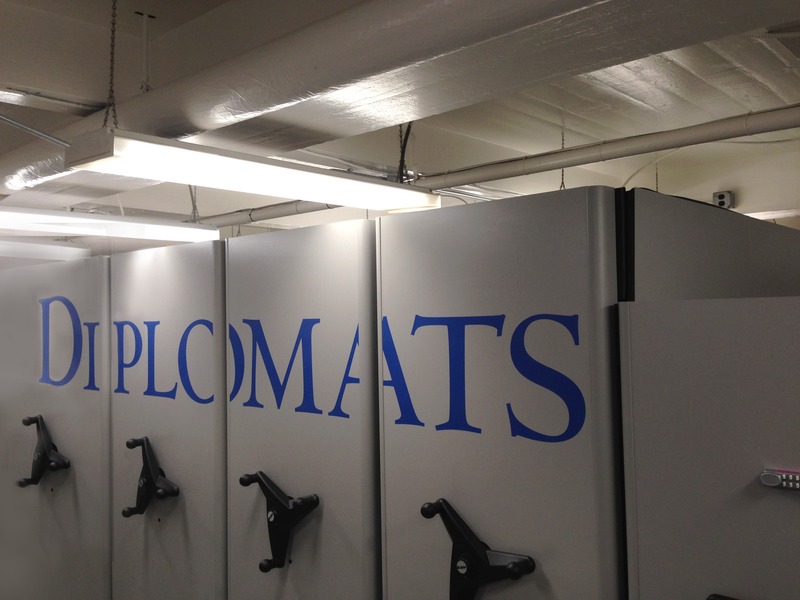 Shelving, modular drawers, mobile storage systems, and lockers are some of the most popular storage types we’ve installed in an athletic setting. 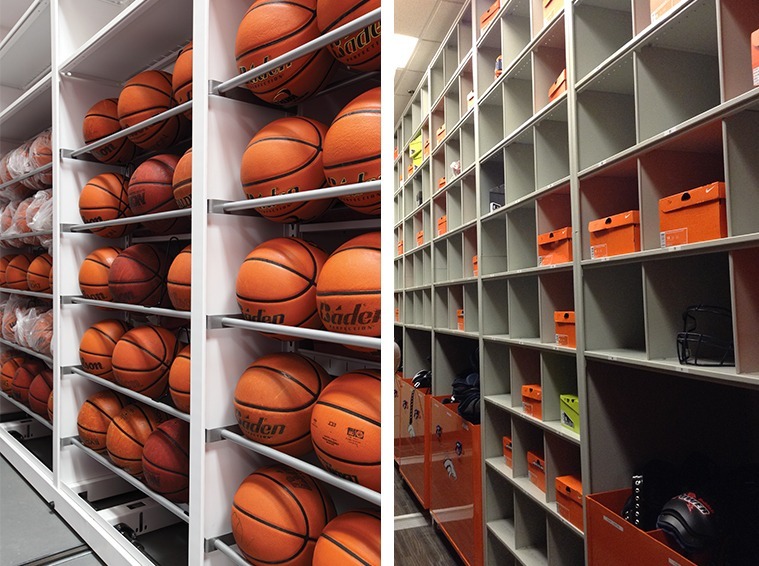 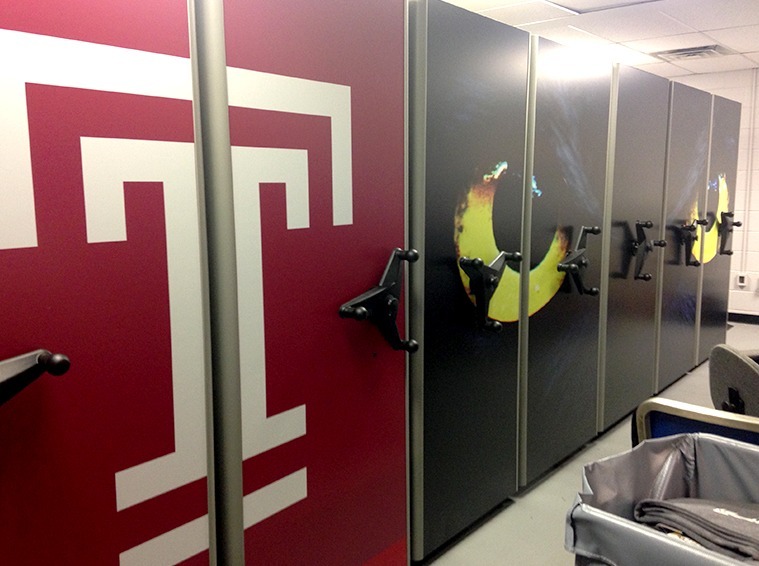 Contact Storage Concepts Inc., today to streamline and improve your athletic equipment storage.